8-Bit Girl: I'm a shortlisted finalist for the UK Blog Awards! 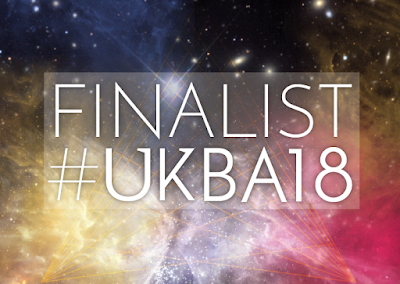 I'm a shortlisted finalist for the UK Blog Awards! Happy New Year! I hope you all had very happy holidays. I'm starting 2018 off with some great news. I've made it as a shortlisted finalist for the Digital & Tech category of the UK Blog Awards! I never publicised that I had entered this, so finding out that so many of you had voted for me, and got me this far has been fantastic. I want to take this opportunity to thank each and every one of you for your support, whether it was right here on the blog, or via Twitter or my Facebook. It's been fun keeping this up since 2011. Let's keep that one going, right? I'm up there along with some brilliant digital and tech blogs, so even if I didn't get any further than this, I'm pretty chuffed. Check out the complete list of shortlisted finalists here.